Reading is one of life's greatest joys and can awaken our imagination, inspire and challenge us - not just as children but throughout our lives. That's why the BBC has launched #LovetoRead, a campaign to celebrate reading. A comprehensive and exciting season of programmes is putting reading centre-stage this autumn. Read on for programmes featuring Sue Townsend, Michael Palin, Marlon James, Willy Russell, Julie Walters, Chris Packham, Suggs, Cerys Matthews, Andrew Marr and many more. On BBC Two, Saturday nights will be Books Nights for three weeks, with a host of programming celebrating authors, reading and much more. How did a 15-year-old dropout from a working-class suburb of Liverpool became one of the most successful playwrights in the history of modern British theatre? The Secret Life of Sue Townsend Aged 68¾ is a warm and witty portrayal of the life of Adrian Mole's creator, narrated by Julie Walters. Stephen Mangan, Ian Hislop and Isy Suttie join Sue’s friends, family and members of her beloved community in Leicester to tell her extraordinary story. Immediately afterwards on the evening of Saturday 15 October, Artsnight presents an unforgettable Liverpool reunion in When Julie Walters Met Willy Russell. Walters talks to Russell to find out how a 15-year-old dropout from a working-class suburb of Liverpool became one of the most successful playwrights in the history of modern British theatre. Artsnight unites two travel writers in Michael Palin Meets Jan Morris. Originally born as James Morris, Jan shot to fame as part of the team that successfully climbed Mount Everest in 1953. In the 1960s, she turned her attention to writing books about cities and countries, before undergoing gender reassignment in 1972. Veteran broadcaster Michael Palin met Jan to find out the secret to her long and happy life. The School that got Teens Reading follows the efforts of Ripley School in Lancashire as it tries to get reluctant pupils to pick up the reading habit. The school enlists actor and comedian Javone Prince to shake things up a bit, so life in school starts to change. In Paperback Heroes, Andrew Marr deconstructs detective fiction, fantasy epics and spy novels - the books we really read. He unpicks their conventions to show how these books keep us turning the page. The imagine... arts strand profiles charismatic author Marlon James, the first Jamaican writer to win the Man Booker prize for his magisterial novel A Brief History Of Seven Killings. 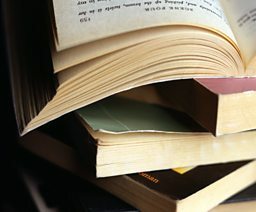 Books that Made Britain is a series of documentaries identifying the books that have defined different parts of the UK, and listen out for these being discussed on local radio networks. Highlights include Chris Packham on five books set in Cornwall, Gemma Cairney in Bristol Sin City, Suggs on the outsider literature of his native London and Viz founder Chris Donald on books that capture the spirit of the north east. Scotland's Favourite Book reveals the nation’s top ten favourite Scottish novels after a public vote, and some well known Scottish celebrities recommend their best Scottish reads. There is a welcome repeat for Great Scots, Andrew Marr's series on the Writers Who Shaped a Nation. Website for #LovetoRead with exclusive features and more. Browse all of the programmes in the #LovetoRead season. Find out what's on now and next with 14 days of books schedules. Mariella Frostrup, Simon Mayo, Harriett Gilbert and James Naughtie lead the campaign on radio. On Radio 2, Mayo will be talking to bestselling authors Marian Keyes, David Nicholls, Jilly Cooper and Ian Rankin about the books they couldn’t live without. Just one of the many highlights on local and national radio sees Simon Mayo open up the writer's room on Radio 2 every Wednesday to delve deeper into the minds of four top authors. A wealth of programming on Radio 3 and Radio 4 includes a new series within Open Book featuring Margaret Atwood and Naomi Alderman, plus special editions of Radio 4 Bookclub, A Good Read, Front Row, Free Thinking, The Essay and Radio 3 Breakfast. On 6Music, Lauren Laverne will be broadcasting from Rochdale library and during half-term Steve Lamacq will be joined by children’s authors. A new series of Paperback Writers will feature Margaret Atwood, David Mitchell, Zadie Smith and Irvine Welsh. • James Naughtie’s favourite book is up for discussion in a Radio Four Bookclub special. • And Harriet Gilbert will be talking about her favourite book for World Service Bookclub. • 4Xtra hosts a #LovetoRead special on James Naughtie’s favourite adaptations and readings. • Authors will be dropping in to programmes over the weekend, such as Radio Four’s Broadcasting House with author Chibundu Onuzo. • Local radio presenters will present readings and events in local libraries. • The British Library are kicking off the #LovetoRead weekend, with presenter and author Gemma Cairney delivering The Reading Agency’s annual lecture highlighting the books that have changed her life. • The British Library will be hosting an event on 5 November with well-known children's authors sharing their recommendations for good reads. The panel includes Chris Riddell, Meg Rosoff, Charlie Higson and Bali Rai. From the toilet to the woods, Gemma Cairney, Suggs, Chris Packham and other presenters share where they love to read. How a working class mother achieved literary stardom. The top ten chosen by public vote are revealed - watch films on the books including Sanjeev Kohli profiling Trainspotting. Author Naomi Alderman takes on Doctor Who, superheroes and zombies. Who will win this year? Meet the authors and slip between the pages of the shortlist. Reading for pleasure is more important to children’s development than education or social class, according to The Reading Agency. Authors and books have always been at the heart of the BBC but our pledge to book lovers is to push reading even higher up the agenda, to include more people and inspire a new generation, to let everyone have a say on the books that matter most to them. The #LovetoRead campaign aims to inspire audiences with programmes about great authors and their work, nationally, regionally and locally. Our radio stations have launched book clubs in partnership with local libraries and in October and November you'll see a nationwide social media campaign to share book recommendations. Over the summer the Awesome Authors season celebrated children’s books on the BBC, at the heart of which was programming to mark Roald Dahl 100 - the centenary of one of our most famous children’s authors. The BBC is working with a range of partners, including reading charities, libraries, publishers and booksellers, to join up with the books and reading initiatives already planned by the sector. These partners will engage with our programmes to inspire people to share the pleasures of reading as far and wide as possible. No other broadcaster celebrates authors or encourages reading like the BBC. With so many of our services committed to books, we want to make it easier for audiences to find what they want. BBC Arts has enhanced its Books website, bringing audiences the best of what we do. In the summer we put the spotlight on the books and authors who shaped both us and our children. Highlights included Staggering Storytellers, a Horrible Histories special looking at great writing for children, documentaries about the classic books Five Children and It and The Water Babies, and a BBC Two programme celebrating the nation's favourite children's author in The Marvellous World of Roald Dahl. Seven must-read novels by female authors. Tolkien's own illustrations of his fantasy universe. The author picks his three favourite works of science fiction. Judge these books, and their genres, by their covers. The ultimate Harry Potter quiz: Are you magic or muggle-born? View The ultimate Harry Potter quiz: Are you magic or muggle-born? Pride and Personalities: which famous faces have worn bonnets and breeches? View Pride and Personalities: which famous faces have worn bonnets and breeches? Quiz: Are you a Jane Austen superfan? View Quiz: Are you a Jane Austen superfan? Are authors shying away from writing about social media? View Are authors shying away from writing about social media? Who will win the Man Booker Prize 2016? View Who will win the Man Booker Prize 2016? Where do you love to read your favourite book...? View Where do you love to read your favourite book...? Ticket stubs, bacon and sheep poo: what do you use for a bookmark? View Ticket stubs, bacon and sheep poo: what do you use for a bookmark? Are you emotionally attached to your books? View Are you emotionally attached to your books? Can a book really make you laugh out loud? View Can a book really make you laugh out loud?